Looking for an inexpensive, thoughtful gift to share this holiday season? Make beautiful Christmas ornaments using felt and embroidery floss. 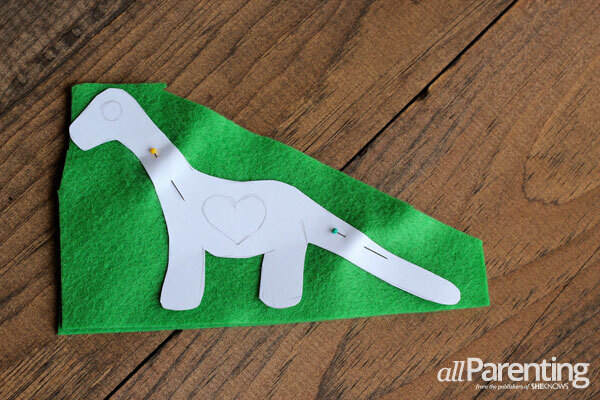 We've got simple instructions to make these cute crafts. They're so easy you can work on them while you catch up on your DVR. 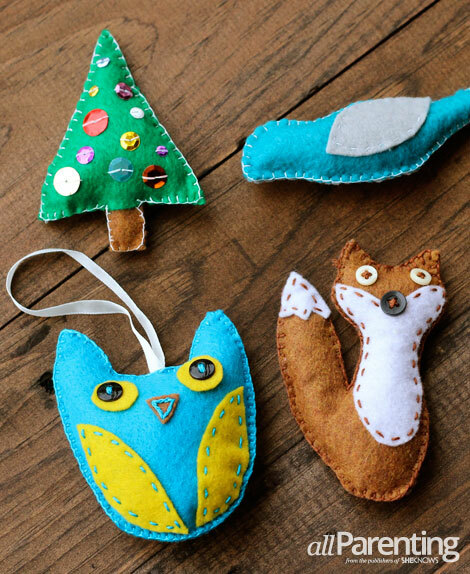 You don't have to be an expert seamstress to sew adorable homemade felt ornaments. Follow our simple instructions to make thoughtful handmade gifts at a fraction of the cost of store-bought ornaments. 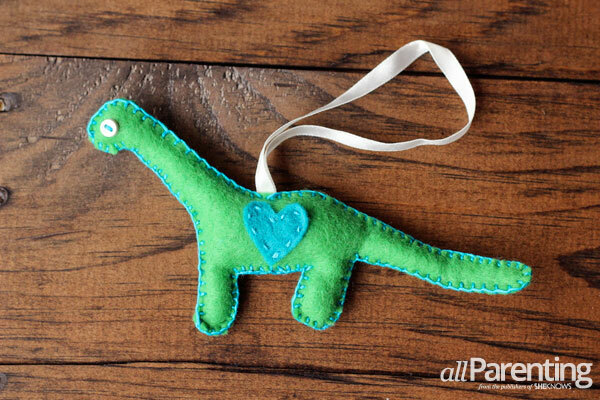 Let your imagination run free as you create cute gifts for everyone on your list. Plan your ornament. Print a simple illustration from your computer or sketch an easy shape like a snowman, Christmas tree, bird or dinosaur. This is the fun part. Let your imagination run wild or stick with a classic holiday shape. Keep in mind that rounded edges are much easier to work with than pointy shapes. For embellishments and eyes, use small buttons or sequins. 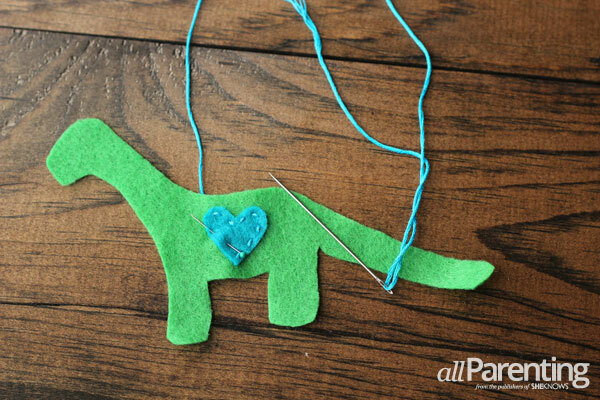 For this tutorial, we drew a dinosaur and decided to use blue and green. You can use a contrasting embroidery floss color or a matching color depending on how you'd like your ornament to look. Cut out the shape. After you've drawn or printed your shape, cut it out. 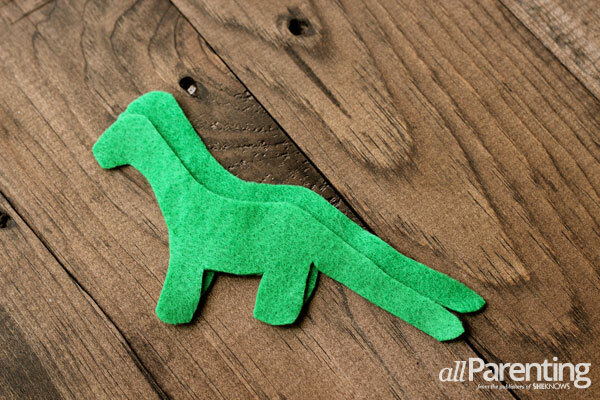 Use straight pins to attach the pattern to 2 layers of felt. 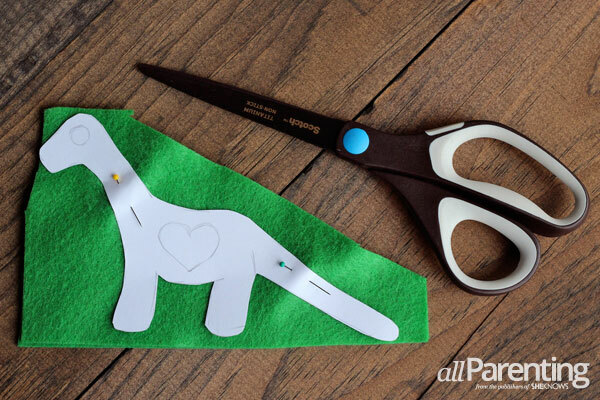 Carefully cut both layers so that you have 2 identical felt shapes. Add embellishments to one side. Cut out a small heart using a contrasting color. Thread about 3 feet of embroidery floss onto your needle and knot at the end. Using a basic running stitch, stitch your embellishment onto the body of the ornament on one side only. If you're using a button for an eye or other details, sew the button at this time. Stitch the sides together. Now you're ready to attach the 2 pieces of felt together. Line them up carefully and begin sewing along the edge using a blanket stitch. Try this simple video tutorial if you're unfamiliar with a blanket stitch. This is the most time consuming part of creating your ornament, but once you're comfortable with the stitch, it's easy to do while watching TV or listening to an audiobook. Work carefully and keep your stitches even. Add a ribbon. When your stitching reaches the top of the ornament, you can attach a ribbon by placing the 2 cut edges between your pieces of felt and continuing the blanket stitch through the ribbon. Ribbon is optional. 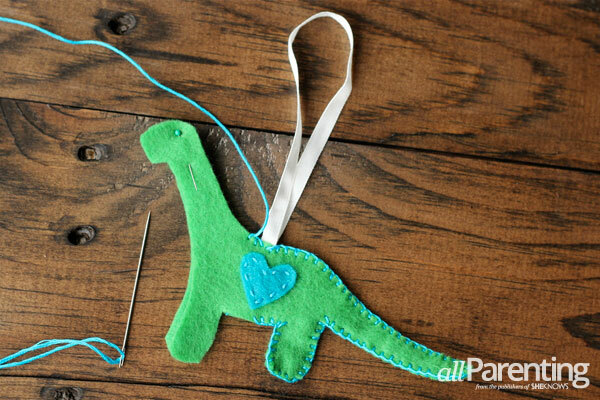 You can also thread a loop of embroidery floss through the blanket stitch or use a simple wire ornament hanger. Stuff the ornament. Leaving a space open, begin filling your ornament with fiberfill. Depending on the shape, you may need a pencil to help push the fiberfill into the whole ornament. Fill it as much or as little as you'd like. Once the filling has been added, finish the blanket stitch until you reach the place where you started. Carefully weave about an inch of the floss into the previous stitches and snip the end. Now you have a cute ornament. Looking for ornament inspiration? Try some of these ideas. Don't be afraid to print shapes using free coloring book pages or even image searches if you're not confident in your drawing skills. If you plan on re-using a paper shape to make more ornaments, cut it out of heavy card stock or a spare folder instead of regular paper.